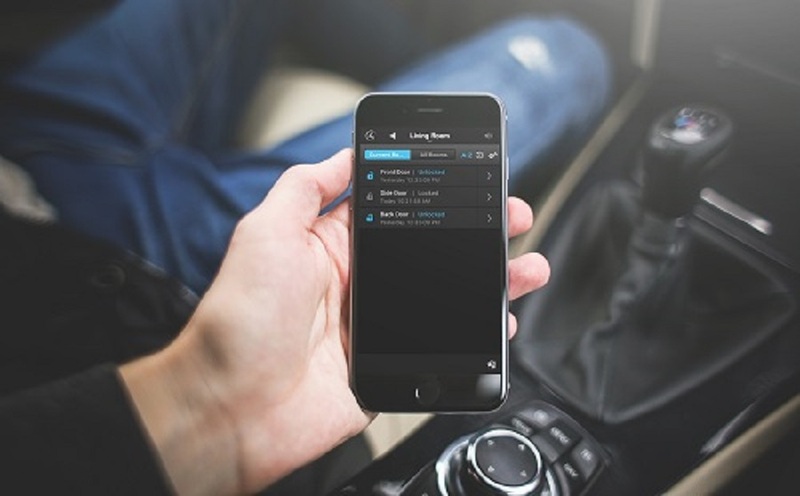 Security is one of the main reasons homeowners get into smart home automation. And it’s not surprising since you want to protect the people you love and the property you’ve worked so hard to make into a home. However, you may not know about the newest features of smart security. Our systems go far beyond just alarms. Keep reading to learn all about the perks of using one of our integrated security systems. When you’re away from home, a security alarm can’t tell you when a door is left unlocked, but a smart security system can. Our smart system will send you an alert via a text message or email and let you know that a door has been left unlocked. The best part is you’ll be able to lock it using an app on your smartphone. Or, if your daughter stops by the house to pick up the dog and forgets the alarm code, you can turn off the blaring alarm right from your desk at work. If something changes, your system is smart enough to let you know about it before anything bad happens. Surveillance cameras that are properly installed will be able to scan the area and take notice of movement. We have motion-sensing cameras that will send you a notification when there is new activity, or you can check in on any room using an app on a mobile device. You can check on pets, babies, or a house sitter who is watering the plants in your second home. You can choose from cameras that can take video 360 degrees around a room or focus on one particular area night and day. Browsing through video clips will also be a breeze since the files are stored on a secure cloud and organized. Another perk of having smart security is integrating smoke detectors and carbon monoxide detectors into your smart system. When the smoke alarm is connected, it ensures a fast response from the fire department. If there’s a fire, your HVAC system can also turn off immediately to prevent it from spreading. An alarm system can also be tied to health-related sensors, such as panic pendants and fall detectors. To enjoy all of these perks and more, contact us online and schedule a consultation with a member of our team. We’d love to make your home feel more safe and secure.